Possibly chalcedony. 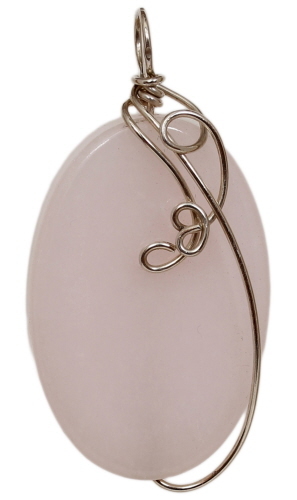 This stone shows no banding and is uniformly colored in pale pink, cut in an oval shape and measures 37 mm x 25 mm. Wrapped in argentium sterling silver wire. Finished size is 49 mm x 25 mm. Weight is 0.5 oz.